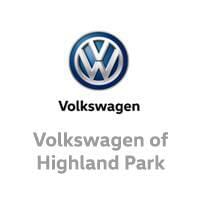 The Tiguan is the smallest SUV in Volkswagen’s lineup, but that doesn’t mean it’s not a powerful and spacious vehicle. The current model even offers a third row of seats, which is rare for vehicles in this class, and thanks to clever design and engineering, passengers can enjoy a roomy interior. With front- and all-wheel drive options available, the Tiguan is a versatile SUV that comes in both short- and long wheelbase variants. This four-door compact SUV comes with a 2.0-liter 184-horsepower 4-cylinder engine that produces 221 pounds-per-foot of torque. The car comes with an 8-speed automatic transmission. This, along with the car’s relatively light weight, makes it a relatively fuel-efficient SUV, with EPA ratings of 21 miles in the city and 27 miles per gallon on the highway. The heavier, more expensive 4MOTION trim produces 200 horsepower and uses a 6-speed automatic transmission to obtain fuel economy ratings of 20 miles per gallon in the city and 24 miles per gallon on the highway. However, it features all-wheel-drive. The car’s 7-passenger variants offer similar specifications. 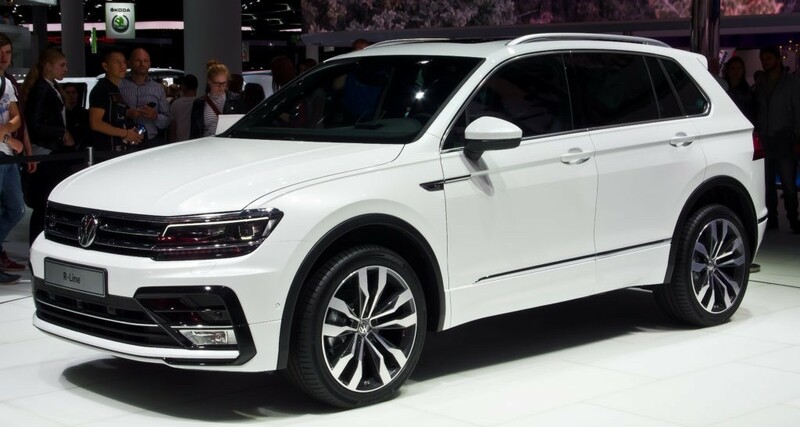 The Tiguan SEL trim features 18-inch wheels made of robust 18 aluminum alloy. Clearcoat paint covers the car’s front bumper, rear bumper, and door handles, creating a uniform aesthetic that matches well with its few, well-placed chrome elements. This trim also features a panoramic sunroof. On the inside, the Tiguan S standard trim features upscale cloth seating with attractive rhombus patterning. The driver’s seat features 6-way position adjustment with height adjustment and folding split-bench rear seats. The standard trim features a 6.5-inch touch screen entertainment system and a 6-speaker surround system. The SEL Premium 4MOTION trim features a computer system that includes an 8-inch touchscreen navigation screen and a premium audio system designed by famed guitar company Fender. The 8-speaker surround sound system even includes a subwoofer. This trim features a heated driver’s seat with 10-way adjustability, lumber support and position memory.